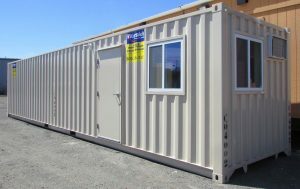 This 40′ office container is the perfect combination of office space and storage! 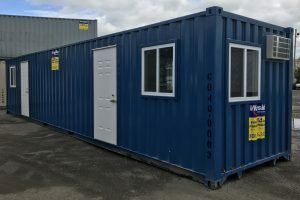 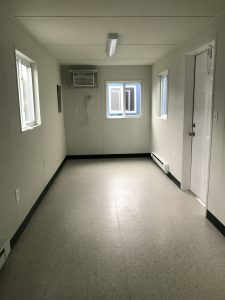 Featuring a 20′ fully finished office connected to a 20′ storage room you will have everything you need delivered in just one unit. 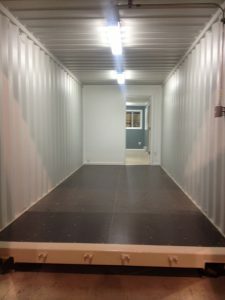 20′ lighted storage area in our 40′ office container combo unit. 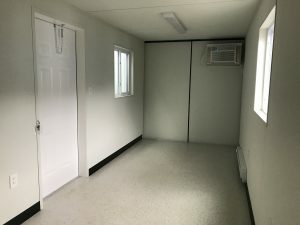 This storage space is accessible by both the container barn doors as well as the interior office door. 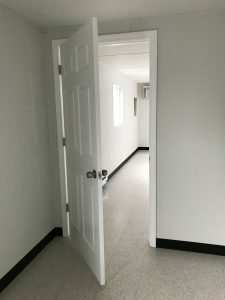 The office door can be locked to control access to office space.